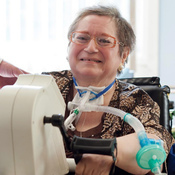 Passy Muir Clinical Specialists are frequently asked about therapy ideas and suggestions for patients using the Passy Muir® Valve. Therefore, we have dedicated a section of our website to share some therapy ideas and tips for different treatment goals, including patient education, voicing, and communication. These creative therapy techniques and strategies have been shared with us by dedicated clinicians. 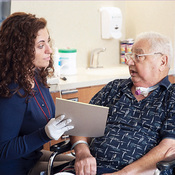 Learn about the pulmonary and physical rehabilitation benefits of the PMV. 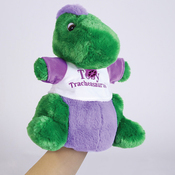 Toby Tracheapuppet™ Therapy Hand Puppet is perfect for interacting with young patients, facilitating vocalization, and enhancing therapeutic activities.